Earlier in the year Lifehack gathered in Manukau along with Sovereign and Youthline where we facilitated 1.5 days of looking at how the group could create a buzz around Youthline Manukau, how we could encourage volunteers and how we could help retain them. More on this collaboration here and here. 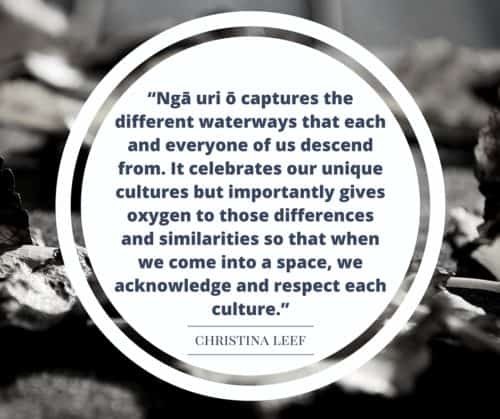 As part of the collaboration between the three organisations, we invited Christina Leef (Lifehack Flourishing Fellow and Māori Entrepreneur) to explore ways through which we could honour participants’ different cultural tikanga and acknowledge the place we were based in: Manukau. Through exploring the local South Auckland community landscape, we came to acknowledge the diversity and richness of what was present locally. We wanted to find a way that paid tribute to people’s personal background whilst creating a shared understanding of the importance of co-creating a space together. A space for creation, experimentation and idea generation that was safe, built on trust and thrived on diversity. Ngā Uri Ō is the prototype of that work. Co-created between Christina, members of the Manukau community and the Youthline Manukau crew, it presents a guiding theme to allow participants to explore their own whakapapa, that of others, and that of the group. In this instance it is based on the individual waterways flowing together into the Manukau Harbour. In all the three steps below, you will see the word ‘wai’ used in all three questions. 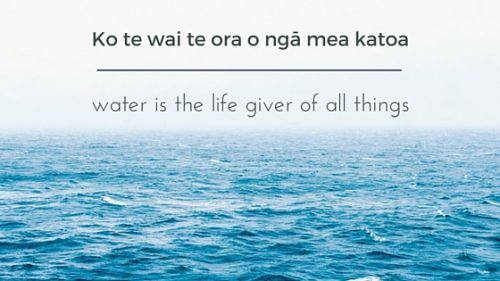 Wai in Māori means water. In our current prototype below, you will see we have captured Ngā uri ō using wai / water. Ko wai au and ko wai koe is represented by the different waterways / paths we have come from acknowledging our background, experiences and knowledge. When we all unite together it forms an awa / river which is the common purpose that has brought the group together. 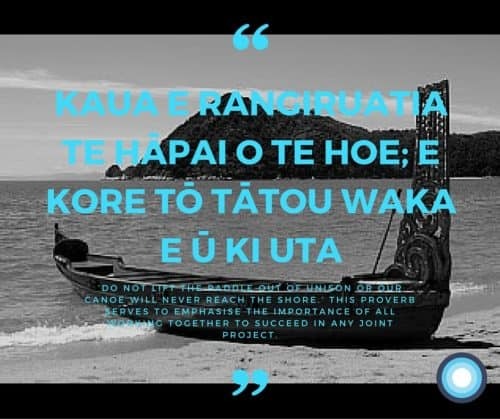 Once we have navigated the river through whanaungatanga / connecting we can then look at who are we together and what do we need to work on and agree too to step into the waka to begin paddling together in unison to begin the work. 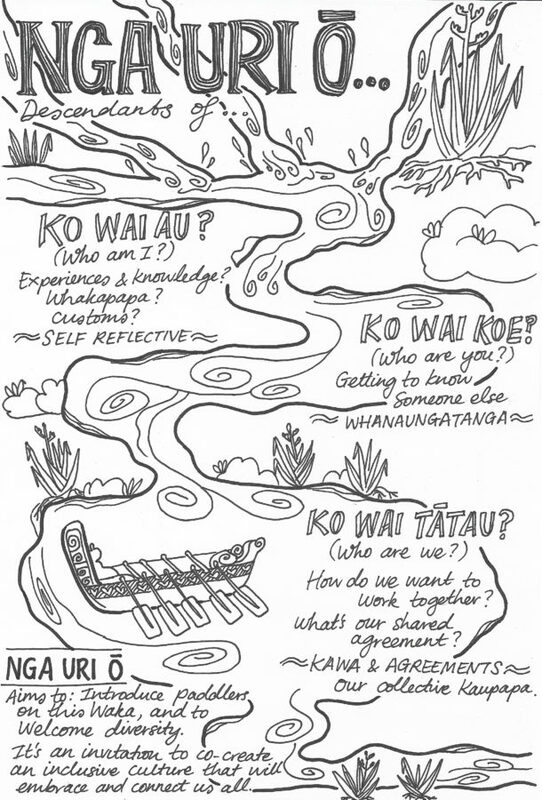 There are 3 components to Ngā Uri Ō, the role of the self, the role of the other, and the role of the collective. Have a look below to explore the questions asked at every point. Ko wai au? / Who am I? What is my whakapapa? Where do I come from and what has gone before me? What experiences and knowledge do I bring to the group? What do I need in this group to feel safe and nourished? What challenges do I want to give myself in this mahi/work together? What am I passionate about and why? By asking yourself these questions, you can prepare yourself for your time together with a group and how you want to arrive. We used this component in our work through inviting participants to reflect on similar questions in a survey leading up to a workshop. This way it allows time for people to really explore these questions and help ground them in what they are about to step into. We also use this in the first day of any of our programmes and workshops, where we allow ample time for whanaungatanga and giving people space to introduce themselves and arrive. We call this process ‘checking in’, where people get to explore the above questions and share what they feel comfortable to share, eg whether they feel nervous, exciting, side-tracked by something else that’s going on in their life etc. Ko wai koe? / Who are you? This is an opportunity for others to be heard and for the group to understand what everyone is bringing to the mahi (work). From the Māori dictionary, whanaungatanga can mean a relationship through shared experiences and working together which provides people with a sense of belonging. Through listening to others you will start to find connections which will draw you to follow up with them and talk more, through this you might see common themes or differences in the group. There are many ways we have used this component in workshops and programmes from more intimate work of pair walks, to being playful with drawing each other as superheros after listening to each other. Ko wai tātau? / Who are we? What do I need to flourish in this space? How can we create space for each other to flourish? From previous group work, what has worked well and could be applied to this space? Am I usually first to speak in a group or last? How do we nurture our differences with group contributions? Lifehack generates this shared agreement in collaboration with the group. We allow space for people to either write their suggestions on a Post it or share openly with the group to begin the conversation. Once everything has been voiced, negotiated and agreed upon, we then write it on a large piece of paper that gets hung on the wall in the working space for everyone to refer too. It’s the group’s shared agreement, it’s the group all hopping into the waka so we can paddle forward in unison. We are using the concept below through programme design, team culture and with co-designing projects with others. We are now reaching out and sharing it with others by speaking about Ngā Uri Ō at the Design for Social Innovation Symposium on the 13th of July to show how we use it, open source it, but also to put it front of others to see what lands well and what doesn’t so we can continue to iterate and build to this prototype. Thanks Daisy – you might want to sign up for our newsletter over here, or follow us on Twitter for regular updates. Kia ora, ko Pauline Taku Ingoa, No Rotorua ahau. I’ve just come across this by accident. I have read it. I’m speechless because I have just started a course with TWOA….Manaaki Tangata – Bicultural Social Services Level 4, the first assignment is a 500 word essay…this has helped me! Plan my essay out….tino reka!